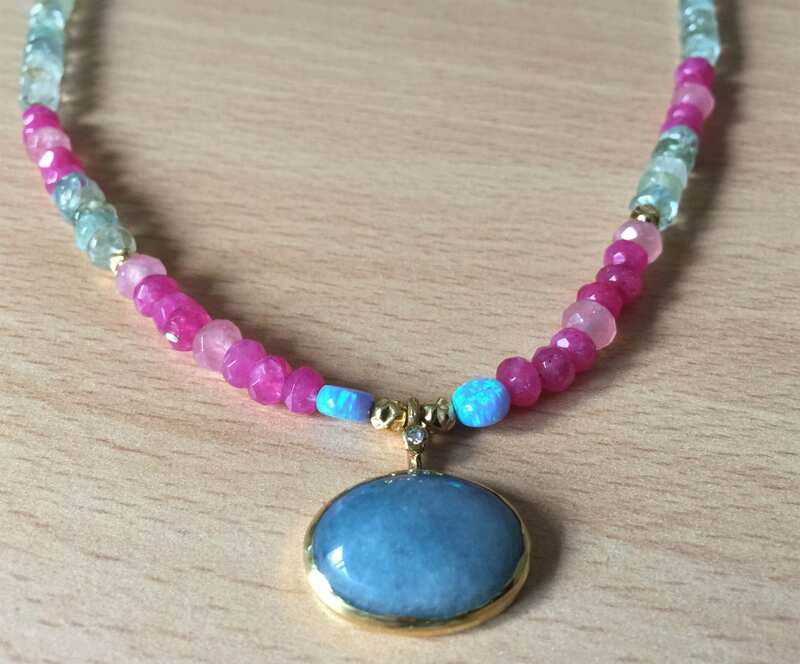 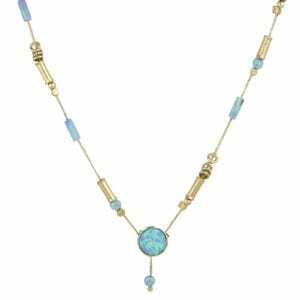 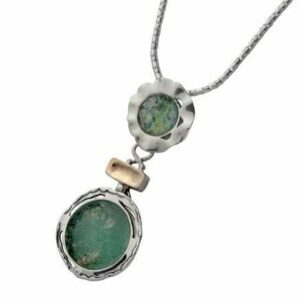 This solid style handmade necklace features a central jade aquamarine stone set on a 24k gold plate. 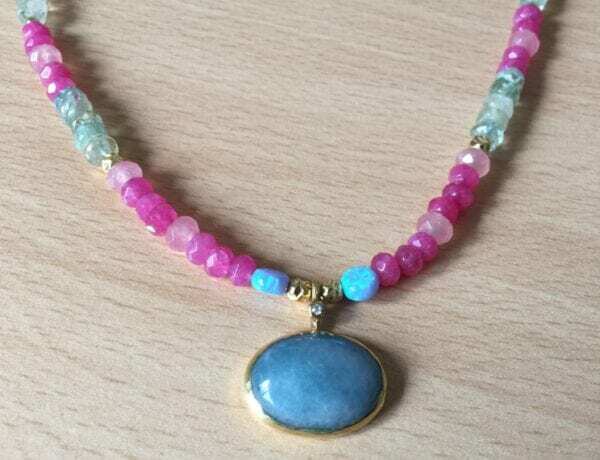 Gemstones are aquamarine, ruby jade, rose quartz, opal, CZ. 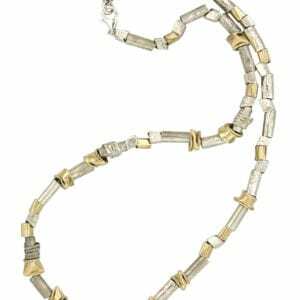 We use crashed 14k rolled gold and sterling silver.